Modern house designs change by the requirement to built comfortable, safe and Green homes with reinforced structures and architectural details for extreme weather conditions. Architects create stronger roofs and walls, add tornado-proof rooms and energy-efficient features to modern homes, creating safer dwellings for Green living. Some modern house designs demonstrate extreme measures taken to battle the elements, from concrete pillars, steel roofs and dome structures to huge shutters for windows and doors. Built-in features are designed for protecting modern houses from potentially destructive weather and include metal roof structures and dome-shaped roof designs reinforced with metal alloys that protect homes from rusting, fire and wind. Homes, created by using the traditional building technology and construction, can not withstand drastic weather conditions. Here are interesting examples of modern house designs with superior structures, enhanced with sustainable design ideas, to withstand natural disasters and provide comfortable and safe homes for families. 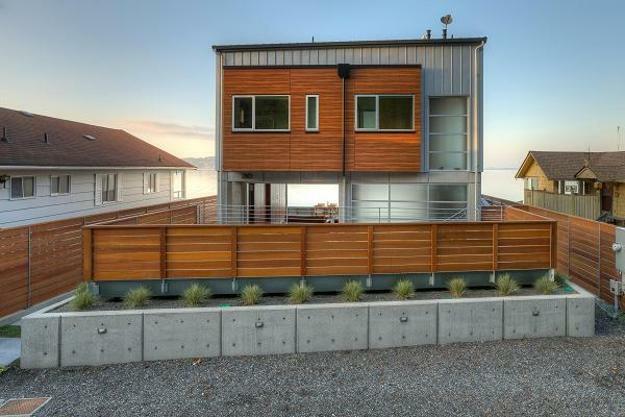 The attractive modern house, featuring a tsunami-proof structure, is built in Camano Island, Washington. It is called Puget Sound Fishing Cabin. The house design features two bedrooms and two bathrooms, and its structure is able to withstand a tsunami. 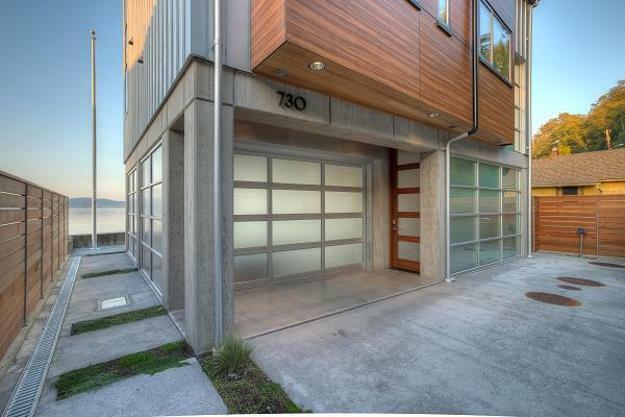 Architect Dan Nelson of Seattle’s Designs Northwest Architects said that this modern house was designed to withstand an almost 8 feet high wave. The modern house is raised on 9-foot pillars and create a cabana below the main level. Its all walls and windows on that lower level are made from industrial garage doors, and are designed to withstand the force of extreme waves and winds. 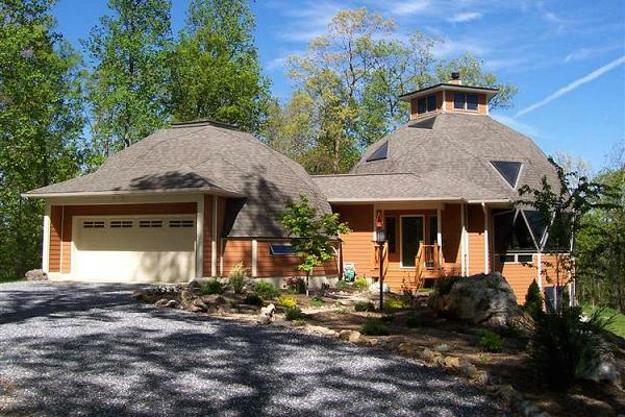 Modern dome homes, especially dome-shaped roof designs, can withstand a severe weather also, tornado, hurricane and earthquake. These house designs cost a little more than traditional homes, but the energy bills are up to 75 percent less than that of conventional homes due to advanced building technology and sustainable design features. Monolithic concrete domes are extremely strong structures that have an ability to survive most man-made and natural disasters, fire, termites and rot. These modern house designs can survive falling trees and extreme winds, and they look attractive. Modern house designs with steel frames are fire-resistant, noncorrosive, termite-resistant and lighting-proof. 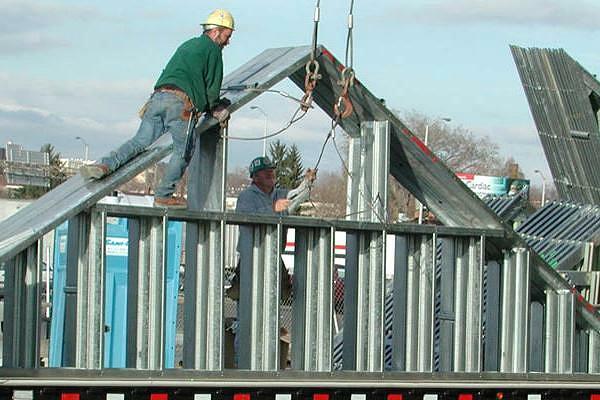 The steel-frame modern houses can withstand winds of 100 mph or more. Modern houses that are resistant to fire, wind, lightning and rust, provide safe homes with contemporary, lightweight steel frames. These Strong Steel Homes of Alabama are created using recycled steel instead of wood and have numerous advantages such as strength, durability and Green building material. 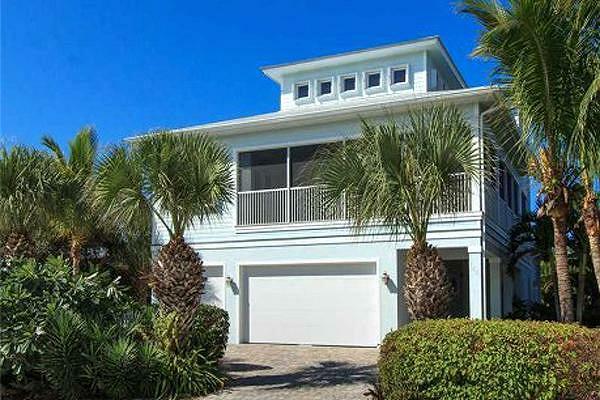 Hurricane Fortress, build in Vero beach, Florida, features three bedrooms and three bathrooms and located just a block from the Atlantic Ocean. The extreme wind-proof house is build in 2007 by Capp Custom Builders to stand up to 180 mph wind and features windows and doors protected by accordion shutters.The modern house structure is built to last. Pella steel and concrete pilings 30 feet deep create a strong, durable and safe home with an electrical generator and energy efficient systems. This custom designed lake home was built in 2008 with many luxurious features, beautiful covered porches, fireplaces, a second kitchen and three-car garage. The modern house design features earthquake- and wind-resistant structure and engineering solutions. The mountain cottage estate includes divided light double glazed and aluminum clad, French doors and windows, a hot water recirculating system, a poured solid concrete foundation and reinforced wall basement with waterproofing and French drains. This beautiful Italian villa style home is built in Ooltewah, Tennessee and has three bedrooms and five bathrooms. The modern house design features aesthetic details like the Bevlo gas-fired lanterns that light the way on to the property. The original roof was replaced with an extreme weather-rated composite tiles which can withstand winds up to 100 mph as well as blocking rain from getting into the home and having high impact ratings and high fire ratings. 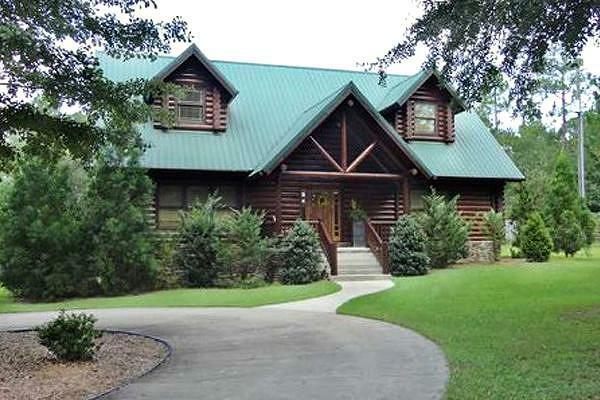 Wind-resistant house in Pace, Florida looks like a log cabin, but its wind-resistant features make this house design safe to withstand strong winds in its Gulf Coast location. The modern house was built with structurally engineered panels with a layer of 10-inch split pine logs to increase energy efficiency and comprise a wind resistance to forces over 230 mph. Modern houses with retreats provide safe and comfortable living spaces in case of extremely strong winds. This modern house in Celina, Texas has five bedrooms and seven bathrooms and located on a 73 acres ranch with numerous amenities like creeks, ponds, a fishing dock, stables, pastures, infinity pool, guest house, a freestanding art studio, wine cellar and an extreme weather retreat. 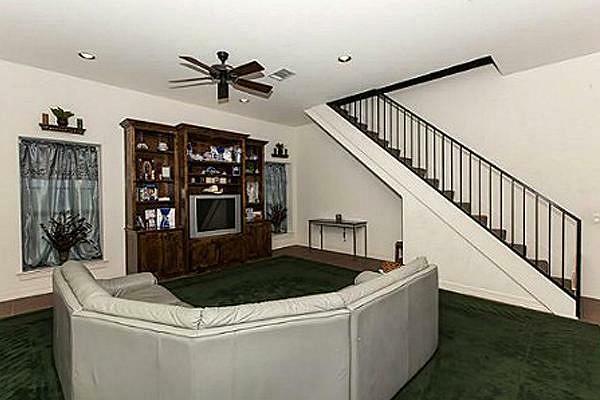 Its residents can hide out in the tornado-safe room.